Having represented victims of age discrimination for nearly twenty years, our Marion County, Florida age discrimination attorneys have learned that many private employers escape liability for age discrimination because they do not employee the requisite number of employees. In order for the Age Discrimination in Employment Act (ADEA) to apply to a private employer, such as a corporation or limited liability company, the private employer must employ twenty or more employees. If a private employer does not employ at least twenty employees, it is immune from liability for age discrimination under the ADEA. This means that if a private employer does not have at least twenty employees, it is not liable for age discrimination under the ADEA even when it discriminates against an employee on the basis of age in violation of the ADEA, such as by terminating an employee because of his or her age. Seizing on the ADEA’s twenty or more employee requirement, smaller state government employers, including state political subdivisions such as counties, cities, police departments, and fire departments, have argued that they are immune from liability under the ADEA because they do not employ at least twenty employees. In other words, state government employers, including state political subdivisions, have claimed that they are too small to be subject to the ADEA because they do not employ at least twenty employees. Several federal courts of appeal, including the Sixth, Seventh, Eighth, and Tenth, have agreed and ruled that the ADEA applies to state government employers, including state political subdivisions, only if they have twenty employees. In Mount Lemmon Fire District v. Guido, No. 17-587 (Nov. 6, 2018), the U.S. Supreme Court addressed the issue of whether the ADEA applies to all state government employers, including state political subdivisions, regardless of the number of workers they employ. In that case, two fire fighters, John Guido (Guido) and Dennis Rankin (Rankin), brought an age discrimination lawsuit against their former employer, Mount Lemmon Fire District (the Fire District), pursuant to the ADEA. Faced with a budget shortfall, the Fire District laid off Guido and Rankin. When they were laid off, Guido and Rankin were the two oldest full-time fire fighters. The Fire District sought dismissal of the lawsuit on the ground that it was too small to qualify as an employer under the ADEA because it did not have at least twenty employees. If the Fire District prevailed on its argument, then it would be immune from liability for age discrimination. In other words, even if the Fire District admitted that it laid Guido and Rankin off because of their age, it would not be liable for age discrimination because it did not have twenty or more employees. The Supreme Court rejected the Fire District’s argument and ruled that the ADEA applies to all state government employers, including state political subdivisions, regardless of whether they have as many as twenty employees. In doing so, the Court overruled the decisions of the Sixth, Seventh, Eighth, and Tenth courts of appeal holding that the ADEA applies to state government employers, including state political subdivisions, only if they have twenty employees. In support of its holding, the Court reasoned that the ADEA applies to all federal government employers regardless of the number of workers they employee. Thus, the Court explained, its holding was consistent with the ADEA’s application to federal government employers. 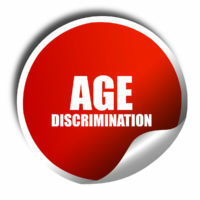 In harmonizing the ADEA’s application to federal and state government employers, the Court’s ruling means that all government employees are protected from age discrimination by the ADEA. Based in Ocala, Florida and representing employees throughout Central Florida, we have been in the trenches fighting for victims of employment discrimination for nearly twenty years. If you have been subjected to age discrimination or have questions about whether you are protected from age discrimination by the ADEA, please contact our office for a free consultation with our Marion County, Florida age discrimination lawyers. Our employment and labor law attorneys take employment discrimination cases on a contingency fee basis. This means that there are no attorney’s fees incurred unless there is a recovery and our attorney’s fees come solely from the monetary award that you recover.